CNES’s exoplanet-hunting spacecraft has made a series of new discoveries, reaping a rich harvest of data to help scientists better understand these far-off “solar systems”. CoRoT is regularly unearthing new worlds outside our solar system. Credits: ESA. The smallest of CoRoT’s latest finds has been designated CoRoT-8b. 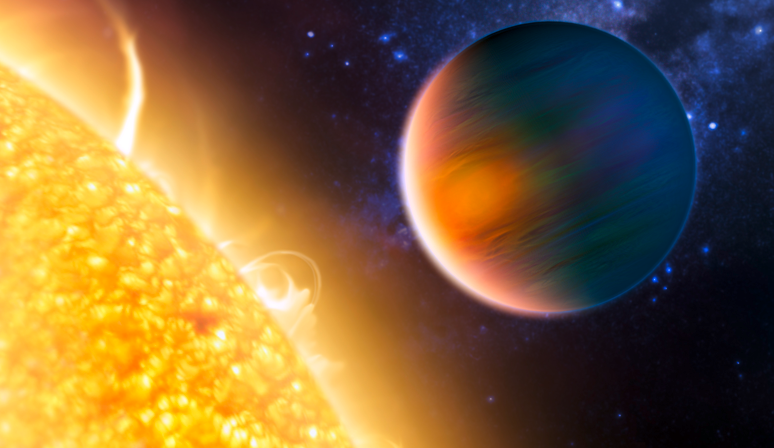 “It’s the second smallest planet that CoRoT has discovered after CoRoT-7b, the first super Earth, in 2009,” says Pascal Bordé, an astrophysicist at the IAS space astrophysics institute in Orsay. Launched in 2006, CNES’s spacecraft is regularly revealing new planets outside our solar system. “The value of the CoRoT programme lies not so much in the number of planets it has detected, but in their diversity,” he explains. CoRoT recently discovered 7 new specimens light-years from Earth. 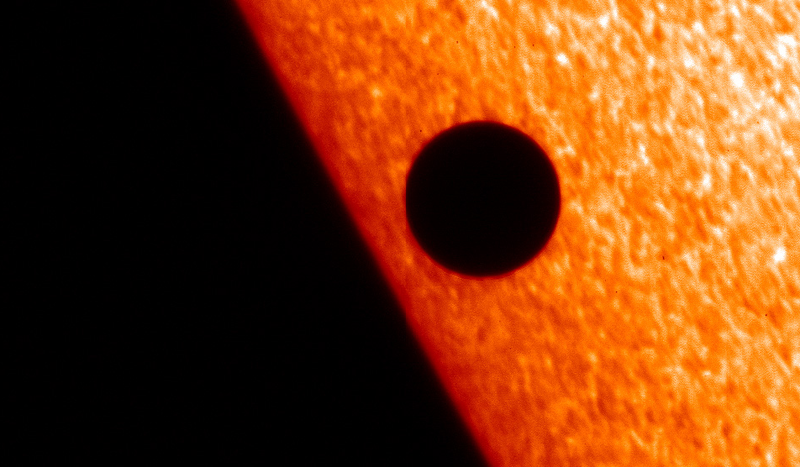 A planetary transit occurred inside our own solar system in 2006 when Mercury passed in front of the Sun. Credits: ESA/Solar Optical Telescope (SOT). A great technical achievement for the spacecraft operating in Earth orbit at an altitude of 900 km. CoRoT specializes in observing planetary transits. This is the only method capable of measuring the size of a newly discovered planet. 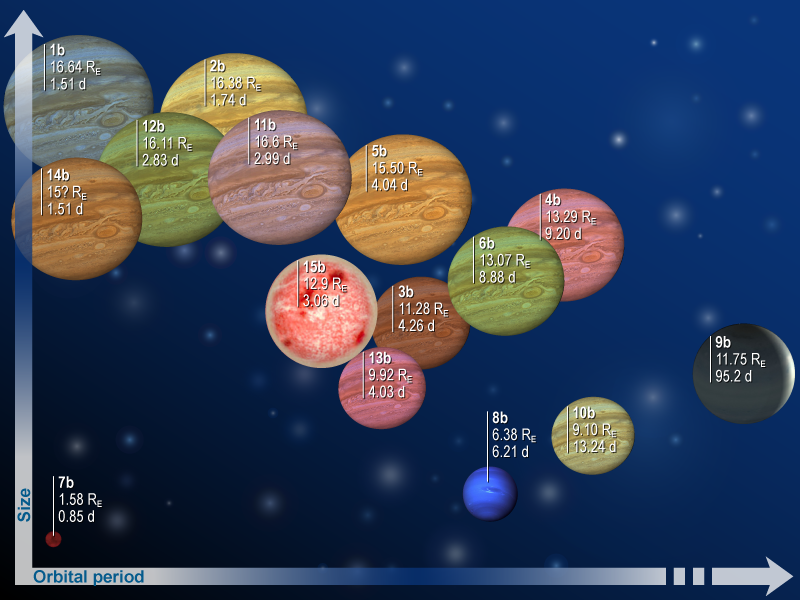 Family photo of the 15 exoplanets discovered by CoRoT since 2006 (Re is Earth’s radius, 6,380 km, and d stands for days). Credits: CNES. 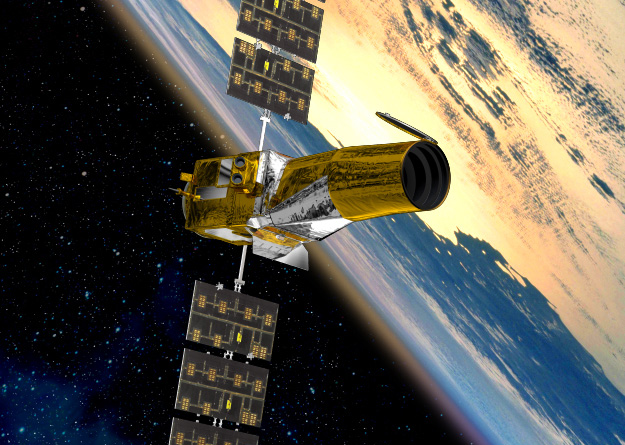 The CoRoT space telescope. Credits: ESA/CNES. CoRoT-10b has a particularly elongated orbit about its host star, which could mean it experiences temperature swings between 250°C and 600°C in just a few days. CoRoT-11b is orbiting an extremely fast-rotating star that spins around its axis in 40 hours, compared to 26 days for our Sun. And lastly, CoRoT-12b, CoRoT-13b and CoRoT-14b are most likely “hot Jupiters”, gas giants 16 times the size of Earth, but with widely varying densities. 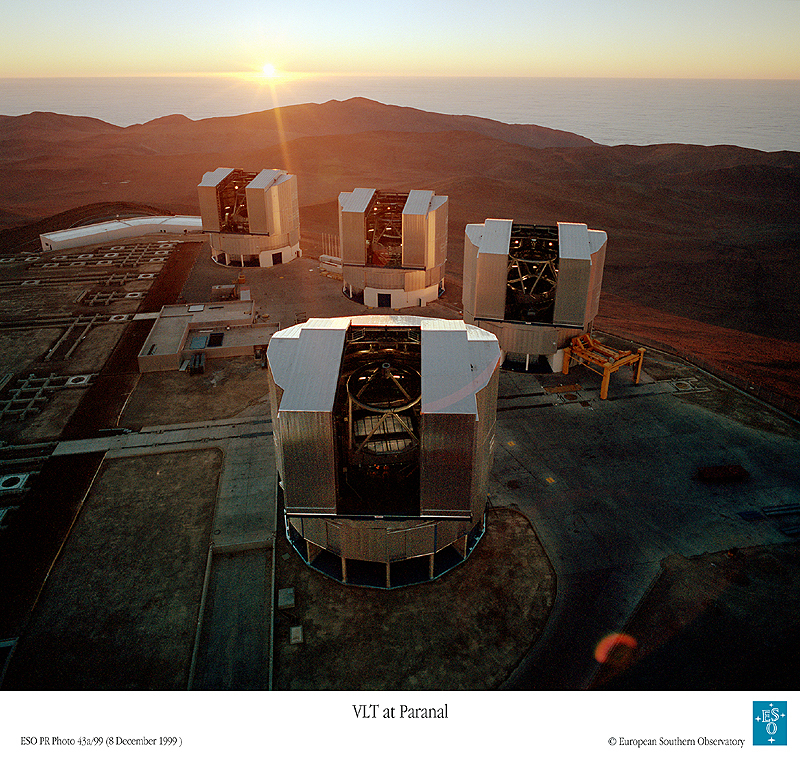 The Very Large Telescope at ESO, Chile, comprises 4 units each with a mirror spanning 8.2 m. Credits: ESO. But it would be impossible to get an accurate picture of these new worlds without data collected from the ground by the HARPS1 and SOPHIE2 spectrographs, and by the Very Large Telescope at ESO3 in Chile. These data allow scientists to precisely determine the mass and radius of planets found by CoRoT. To date, 450 exoplanets have been detected by telescopes around the globe. Of these, 80 are transiting their host stars and include the 15 discovered by CoRoT. CoRoT’s mission was recently extended for a further 3 years, so the space telescope controlled by CNES from the Toulouse Space Centre can look forward to many more discoveries yet. 1 Spectrograph on the 3.60-m telescope at ESO in Chile. 2 Spectrograph on the 1.93-m telescope at the Observatoire de Haute-Provence, France.